Looking for caramel apple supplies? 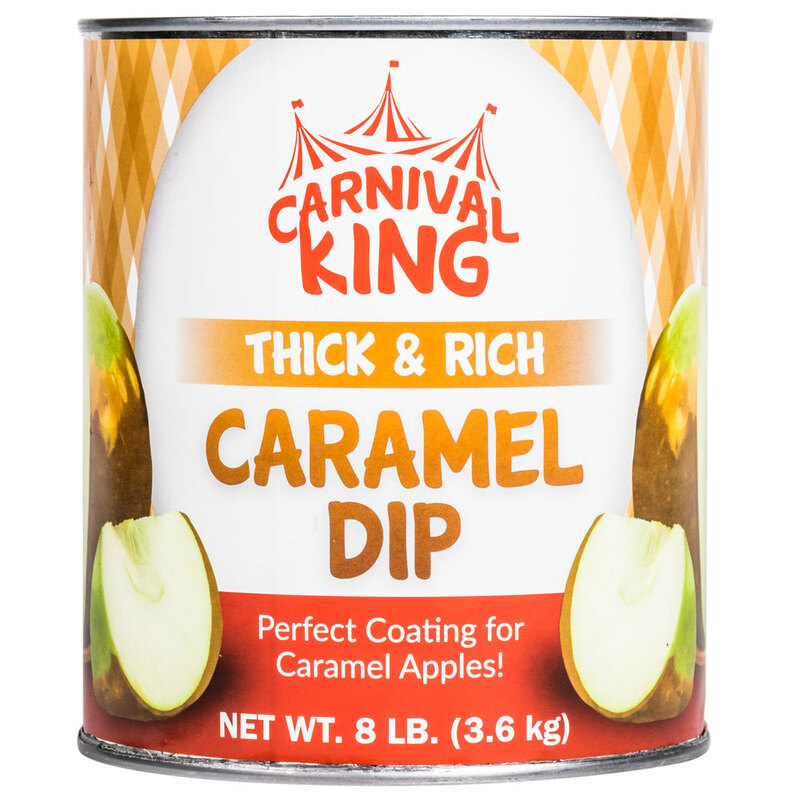 Carnival King is the brand to trust for your concession supplies, and this Carnival King caramel dip is perfect for making caramel apples and other sweet confections! This smooth dip has a classic and creamy caramel taste reminiscent of fall days at the fair or strolling through summer carnivals. It quickly and easily enhances the professional-quality appearance and rich, sweet flavor of your caramel apples and concession treats. Featuring a golden brown color, this silky smooth glaze is perfect for coating fresh apples, covering cake pops, making candies, or even baking. Use it as a base and add sprinkles, chopped peanuts, or other customized toppings to boost profits and bring gourmet flavors to any concession stand! This caramel dip is easy to apply, sticks to the apples, and doesn't get grainy. The bulk size of the cans will keep your concession stand or bakery in great supply for all of your sweet treats. When used with a food warmer that fits #10 cans, such as the 6 qt. Avantco W300 countertop warmers, there's less mess and you'll be able to save time cleaning up! To use with your 6 qt. Avantco W300 countertop warmer, first take the lid and wrapper off of the can, and place the can in the warmer. Fill halfway up the can with water. Set the temperature setting to 12, and wait 1-2 hours until you reach ideal dipping temperature (around 175 to 185 degrees Fahrenheit). Dip apples and allow time to cool.